What can shopping centres learn from Las Vegas?What can shopping centres learn from Las Vegas? What can shopping centres learn from Las Vegas? Online shopping has changed retail forever. Today’s consumers are more demanding, and have more choice than ever before. In order to stay relevant, drive growth and boost efficiency, shopping centres must invest in the right technologies to create the ideal shopping and leisure experience. Traditionally, commercial property could be described as a “non-digital business”. However, things are changing fast. To remain competitive shopping centres must have a clear digital strategy. Alongside those anchor tenants and flagship stores, there is much greater need to diversify and use available floor space differently and more flexibly. Seasonal pop-up stores, showrooms and kiosks can create new, surprising visitor experiences. And technology can provide the necessary data to ensure shopping centre managers gain maximum value from every square metre. As consumer habits change and evolve, so shopping centres must also reposition and reinvent themselves to remain relevant and desirable destinations. Las Vegas, Nevada, is one of the world’s most visited places. However, gambling revenue for the famous Vegas Strip has tumbled from 60% in the 1980s to just 34% today. Bars, restaurants, hotels and entertainment actually generate far more revenue than gambling. 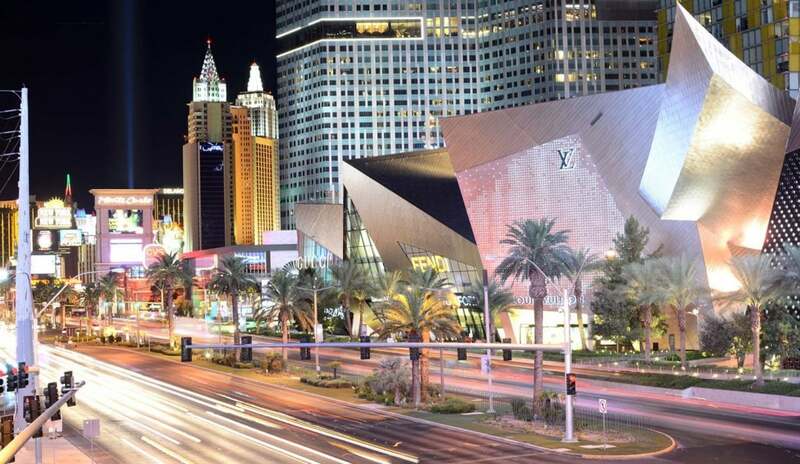 In response, sections of Las Vegas are now being pedestrianised and transformed to meet new visitor preferences. “The slot floors that you see today are not going to be here 10 years from now,” says Jim Murren, CEO of MGM Resorts International. Millennials want completely different visitor experiences both inside and outside of the casino, and Las Vegas must adapt. Technology is a powerful agent for change. Many Las Vegas hotels now provide mobile apps that enable guests to check-in, order services, settle their bill, checkout, and even use their smartphone as the room key. In 2017, Las Vegas played host to over six million exhibition and conference delegates. Convention organisers use WiFi, mobile apps, NFC and text messaging to promote their events, make preregistration easy, help delegates navigate the halls, conduct research, and provide marketing platforms to exhibitors. Just like Las Vegas, the UK’s out of town retail parks and shopping centres must adapt. They must offer the right mix of retail stores, restaurants, entertainment, offices, public amenities and communal spaces to become destinations of choice. Firstly, shopping centres, retail parks and factory outlets must harness technology to market themselves and become desirable destinations. That means websites, loyalty programs, social media, online advertising, mobile apps and location-based digital signage. Mobile apps can help build that all-important relationship between the shopping centre and its customer base, fostering loyalty through convenience and value. A good shopping centre app will make every visit easy and convenient, from parking to store finding. It will also reward and reinforce desired visitor behaviours through exclusive content, personalized offers and special discounts. Parking is a major factor in where consumers choose to shop. Smart parking solutions can reduce queues, guide shoppers to vacant parking bays and streamline the payment process. Smart parking can ensure maximum use of the available space, generate extra revenue and increase customer satisfaction. A paper poster displays just one message for its lifetime. Digital signage can display multiple, rotating ads. The content can be anything from static images to interactive video. Digital advertising campaigns can run at certain times of day, such as lunchtimes, be triggered by visitor behaviours or someone’s proximity to a display unit. Digital signage’s versatility means it can also easily switch from advertising to wayfinding and public information services. Once inside the shopping centre, facial recognition software, digital signage, Bluetooth beacons, WiFi and mobile apps can provide highly targeted promotional content to visitors. Guest WiFi is a great way to engage with shoppers, build loyalty and gain valuable insights on footfall, dwell time, return visits and monitor the effectiveness of sales promotions. The threat of a major incident has increased in recent years, and shopping centres must have contingency plans in place. Once again, technology can provide highly effective solutions that allow shopping centre managers, staff and tenants to coordinate emergency responses. A robust shopping centre communication system, for example, can be installed on an existing IP network, which will continue to work even if WiFi, radio and mobile communications fail. As well as major incidents, the system can be used for more general shopping centre communications such as visitor information, cleaning, security and promotional messages. The days when IT infrastructure was regarded as a costly back office support function are gone forever. Today’s businesses simply cannot function without the right technology in place. Businesses with strong IT functions are better able to collect, analyse, understand and respond to data, giving them a competitive advantage. Nevertheless, choosing the right technologies to enable your business aspirations comes with its own set of risks and challenges. Underinvestment in critical systems, for example, can prove extremely damaging. Clearly, for a shopping centre or retail park to run efficiently, profitably and securely it needs a clear and coherent digital strategy. In turn, this requires an IT and telecoms infrastructure capable of supporting the many, varied and competing demands of the business, from smart parking and digital signage to the right mix of stores, restaurants and entertainment venues. Modern Networks provides IT infrastructure as a managed service. This mitigates many of the risks commonly associated with large-scale IT projects and the hefty costs. Instead, businesses pay a predictable monthly fee for a tailor-made IT solution that is scalable, resilient, secure, agile, compliant, continually monitored and fully supported. Download a copy of this article to read later and share.